Everything needed for a simple skin biopsy, in a convenient, pre-packaged kit. 20 kits per box. 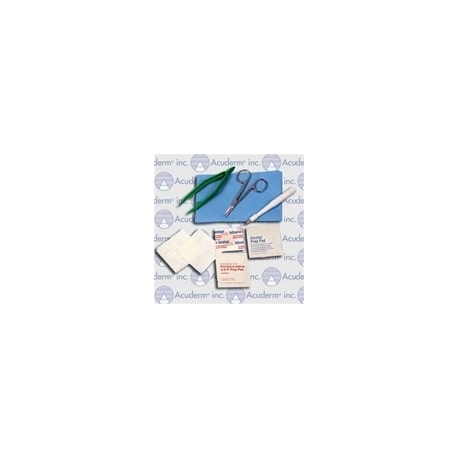 Each kit contains 1 Acu-Punch (3mm size), 1 Acu-Scissors (3-1/2" curved), 2 gauze pads, 1 Acu-Forceps (disposable), 1 Povidone iodine prep pad, 1 alcohol prep pad, 1 adhesive bandage, (7/8" round) and 1 CSR wrap (12" X 12"). No prep time needed. Sterile peel apart pouch.